If you’re dealing with blotchy skin, hiding under long sleeves and makeup might not be a sound solution. Instead of trying to cover it up, you can finally try to get rid of it with some natural home remedies. Blotchy skin, or melasma, refers to an uneven tone and texture of the skin that stems from multiple factors, the most prominent of which is excessive sun exposure. Depending on your natural skin color, you may have red, white or dark patches on your skin that can become more pronounced without regular exfoliation and proper care. 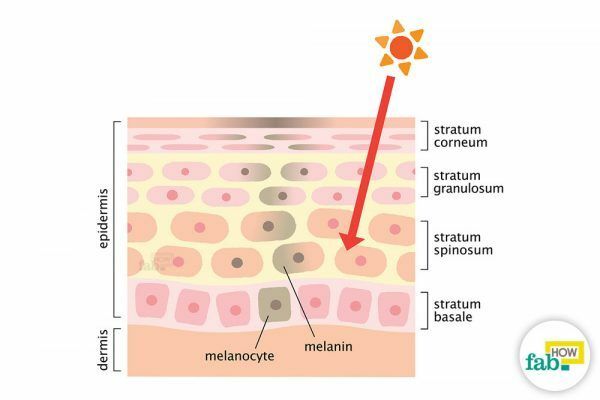 Your skin produces melanin through melanocytes to protect itself from sun damage. The melanin also gives color to the skin. 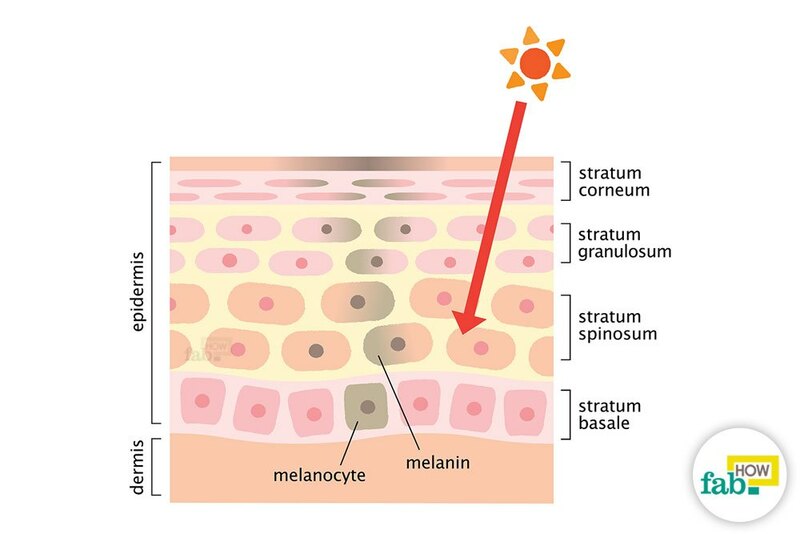 In response to prolonged sun exposure, the melanocytes work overtime to produce excess melanin. Uneven tanning can give your skin a blotchy appearance. The skin can also become blotchy in appearance due to hereditary predisposition, skin conditions or infections, extreme weather conditions, environmental irritants like allergens and hormonal changes during pregnancy. Stress has also been identified as a precursor to blotchy skin. A severe case of blotchy skin can give way to social stigma and low self-esteem. While many cases of blotchy skin are only of cosmetic concern, there may be an underlying medical condition in some cases. If you think that the best of the cosmetics you’ve been investing in aren’t up to the task, read on to learn some effective natural remedies to treat your blotchy skin. However, you may wish to consult your doctor first to find out if your blotchy skin is a symptom of an underlying medical condition. Once you rule that out, you can attempt cosmetic correction of your blotchy skin with the natural remedies below. 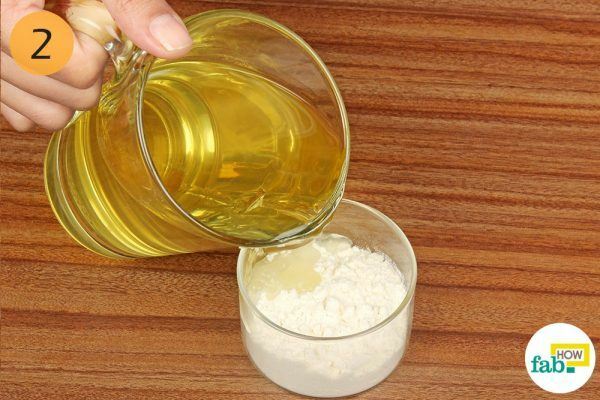 Here are six natural home remedies to get rid of that undesirable blotchy skin. Aloe vera is the safest and most effective remedy to treat skin blotchiness caused by a number of factors, including skin allergies. It acts as a healing salve that soothes the skin in the process. It doesn’t produce results only at the surface level, but absorbs into the skin and heals it from within. It works on scar tissue and excessive melanin deposits, gradually evening out the skin tone. Apply aloe vera gel directly over the patches of blotchy skin. 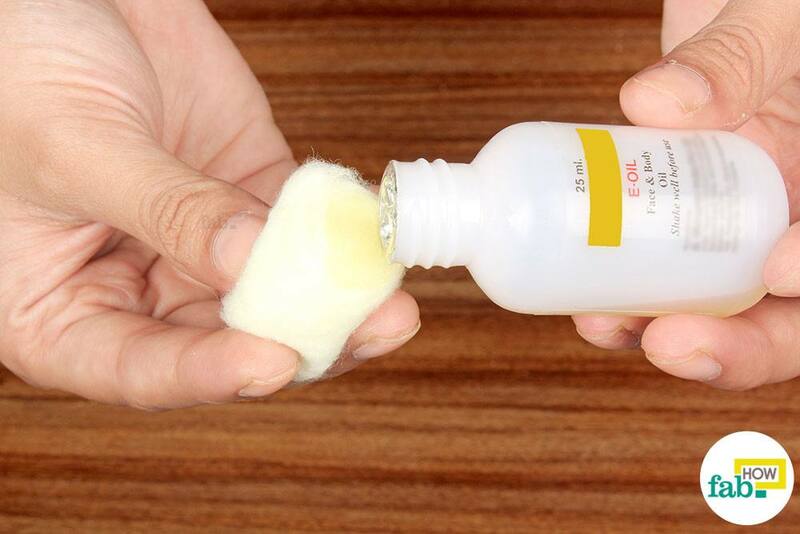 You can easily apply it using your hands, or use a cotton ball if you find the gel messy to handle. Let the aloe vera gel remain on the skin for 30 to 60 minutes, or a minimum of 15 minutes if you are in a hurry. You can also leave it on overnight for best results. Rinse it off after the allotted time, or the next morning if left on overnight. 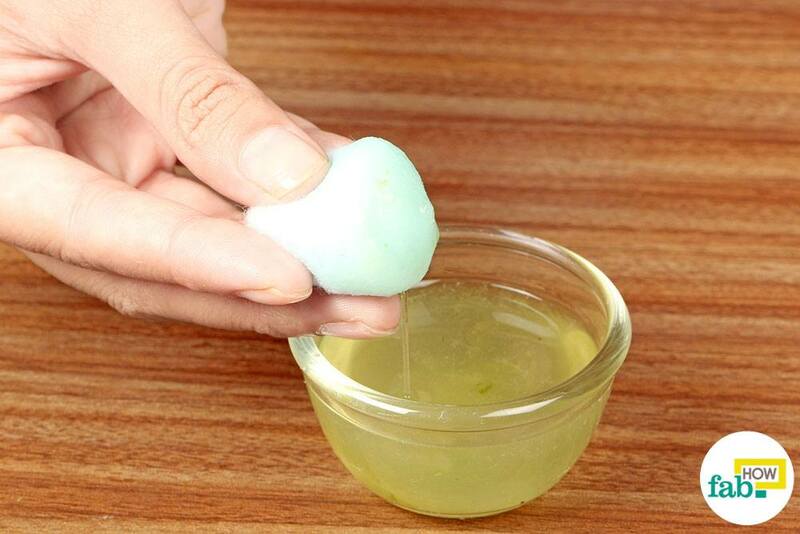 Use fresh aloe vera gel extracted from a leaf of the plant if you can, as it will produce the best results. 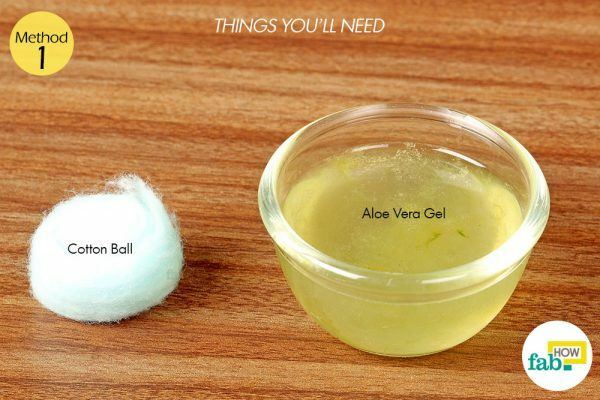 When using packaged aloe vera gel, find a brand that doesn’t contain fragrance or other additives. 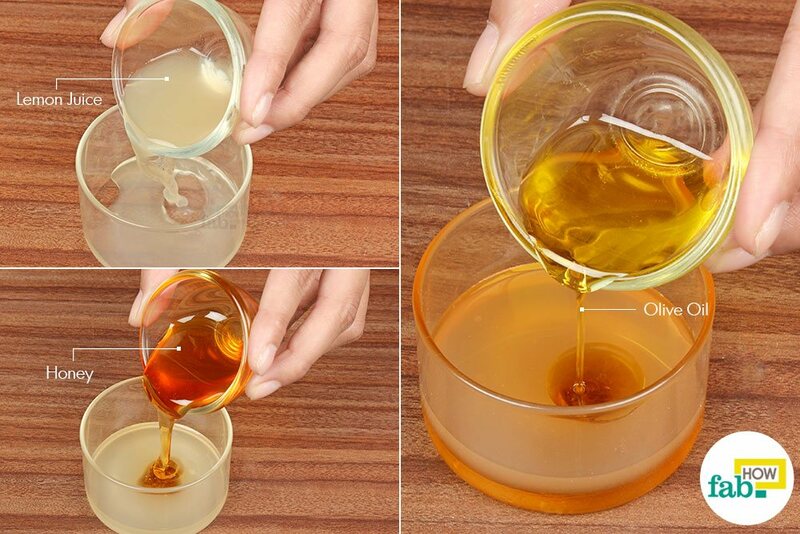 Stick with this aloe vera gel remedy daily for a couple of months to see a significant difference in your skin tone. The results and time needed will depend on the amount of damage sustained by your skin. Oatmeal moisturizes, exfoliates and is gentle on the skin. It will remove dead skin cells without causing distress to the skin. Its anti-inflammatory properties can bring down redness and soothe any itching. The antioxidants present in oatmeal can protect the skin from further damage. Milk helps moisturize, soothe and heal inflamed skin. You can also substitute milk powder for fresh milk. Lemon, being a natural bleach, will help even the skin tone of the affected area. 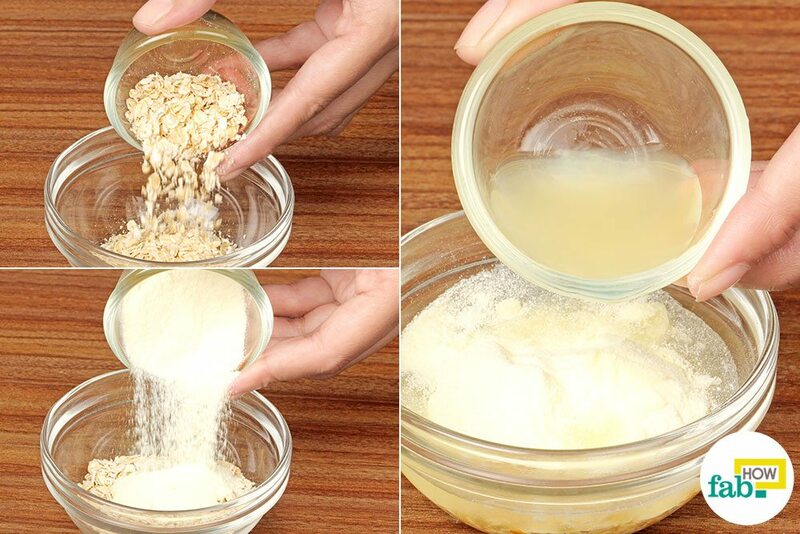 Put some raw oatmeal in a small bowl and add an equal amount of milk powder to it. Add enough lemon juice to make a spreadable paste. Preferably, use freshly squeezed lemon juice for this remedy. Apply the oatmeal mask with your hands wherever you have blotchy patches of skin. Lightly massage the mask into your skin, and leave it on for 20 minutes or so. Wash it off with lukewarm water. If you tend to have large pores, follow this with a cool rinse to close your pores. You may need to repeat this remedy 3 times a week for at least 1 to 2 months for visible results. 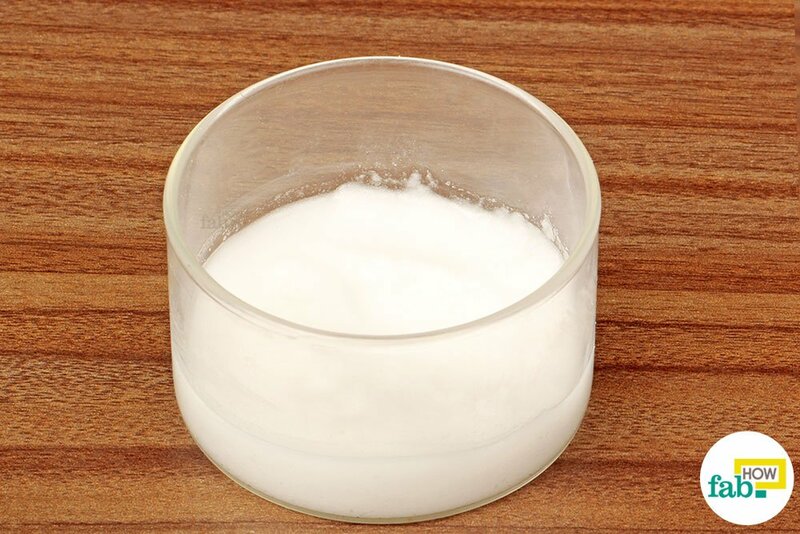 Baking soda is a master exfoliant and a suitable option for blotchy skin due to excessive sun exposure, scarring from an old skin trauma or extremely hot weather. But if you have a dry and sensitive skin type, you may need to skip this remedy as baking soda can be a little drying. Baking soda works by sloughing off the layer of dead skin cells to expose the new skin underneath. It can also help soothe skin that is inflamed or aggravated due to high temperatures. 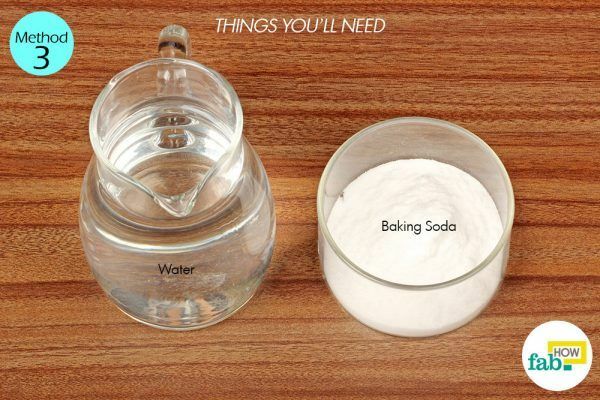 If you have red patches on your skin, baking soda can work wonders. Put some baking soda in a small bowl and add some water to it. Mix the contents of the bowl thoroughly to make a spreadable paste. Wash the affected area with plain water and pat dry. Apply the baking soda paste over the blotchy skin patch. 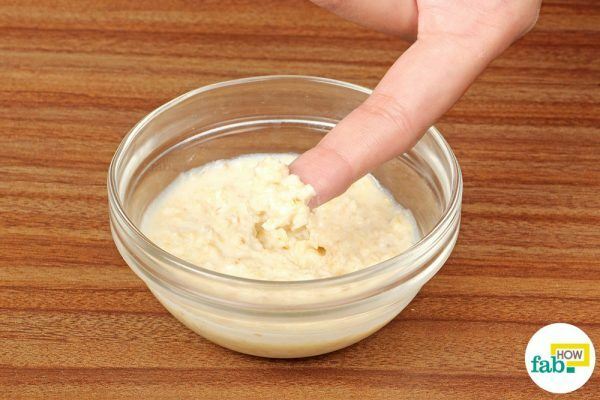 Gently massage the area with your hands, then leave the paste on for 5 to 10 minutes. Rinse the paste off with plain water and pat dry with a soft towel. Follow with a light moisturizer. Repeat this remedy 2 or 3 times a week for 1 month or so for desired results. You can use the benefits of green tea to soothe blotchy skin. Its anti-inflammatory properties can help reduce the swelling and ease any pain in the botchy skin. 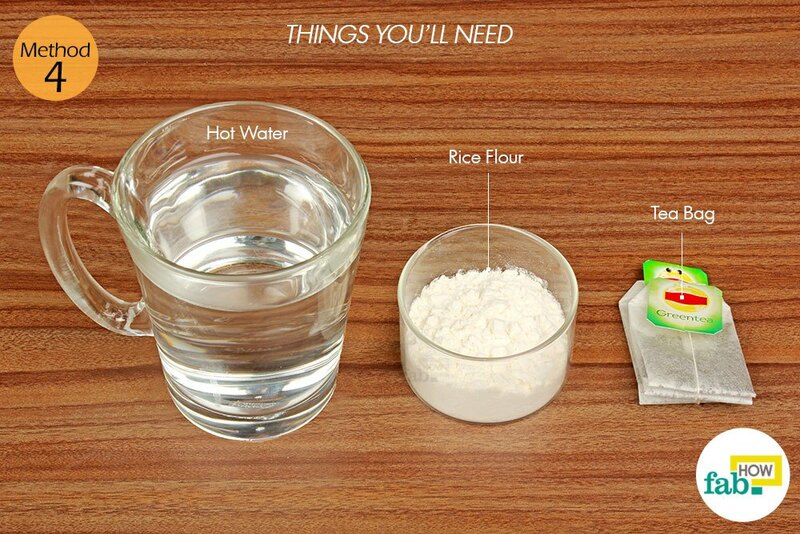 The rice flour used in this remedy not only makes for a great base, but also boasts some skin-lightening properties. It has long been used in Asian beauty regimes, especially in Japan, to keep the skin smooth, evenly toned and free of any pigmentation. 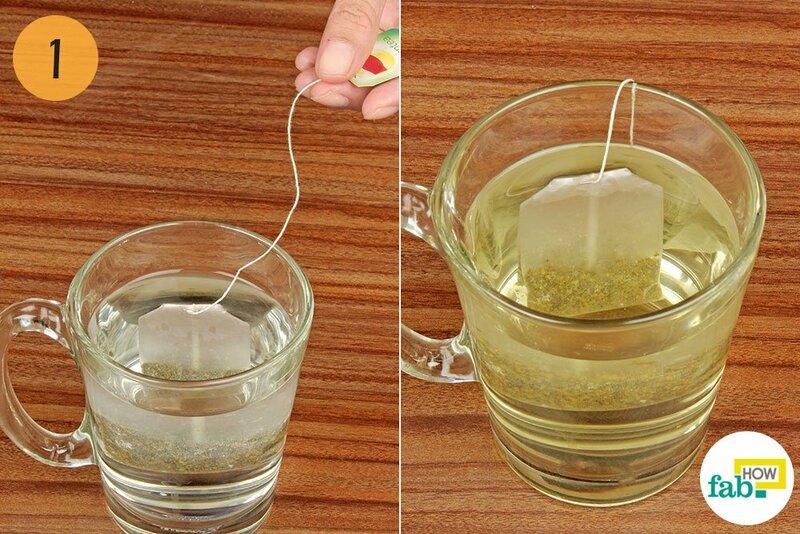 Place the tea bag in 1 cup of hot water. The stronger the tea, the better. Since you’re not going to drink it, you don’t have to worry about ruining the flavor. 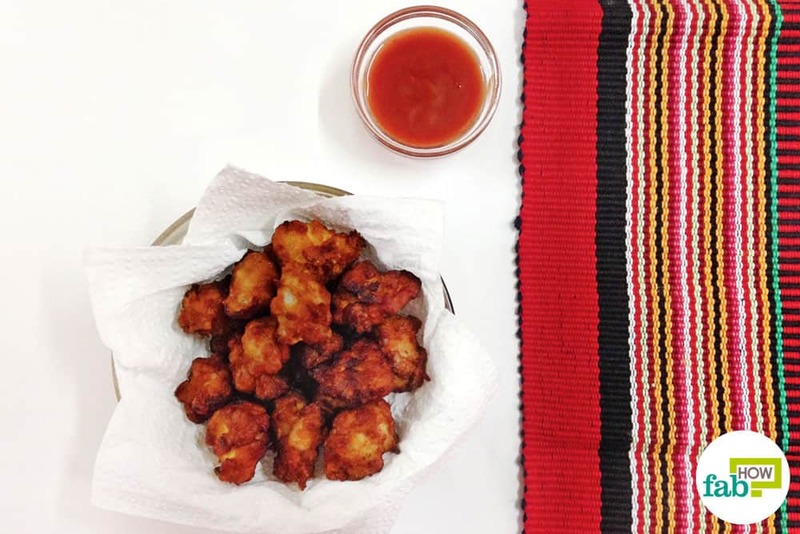 Put some rice flour in a small bowl. The quantity should be just enough to be used up in a single application. Add the green tea to it and mix it into a spreadable paste. Any remaining tea can be stored in the refrigerator for future use. Allow the paste to cool down before you apply it. If applying during the winter, you can leave it lukewarm. Apply the green tea mask over the blotchy skin patch. Allow it to remain on the skin for 15 minutes before rinsing it off. Repeat this remedy 3 times a week for 6 to 8 weeks for noticeable results. Due to the natural acids present in the lemon, lemon juice acts as a natural bleaching agent. It’s efficient at lightening and evening out the skin tone. Using lemon juice with honey makes for an effective remedy for blotchy skin, as honey is a natural humectant and helps keep the skin hydrated. 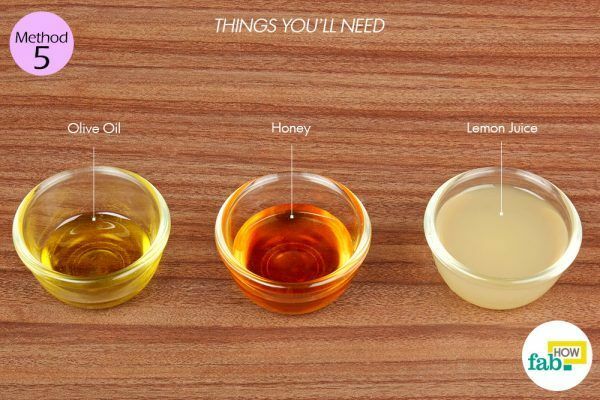 Adding a little olive oil further helps keep the skin moisturized and healthy. Pour 2 tablespoons of freshly squeezed lemon juice into a bowl. Add in 1 teaspoon of olive oil as well. Spread the honey-lemon mask over the blotchy skin area. Leave the mask on for about 30 minutes before rinsing it off with lukewarm water. Use this remedy once a day for 1 month to get prominent results. Vitamin E oil can help slow down the signs of aging on your skin. It works specifically on wrinkles, age spots or brown spots, and any other unsightly pigmentation that may give your skin a blotchy appearance. Its healing and moisturizing properties are what make it so effective. 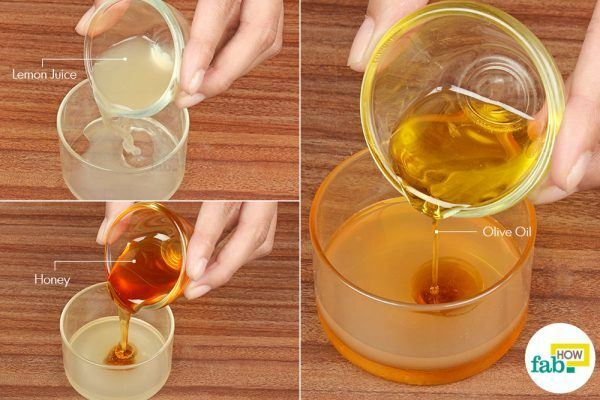 Vitamin E oil rejuvenates the skin from within and gives it an even tone and an amiable glow. You can get vitamin E oil from any drug store. If you find it in capsule form, you can open the capsule and extract the oil. 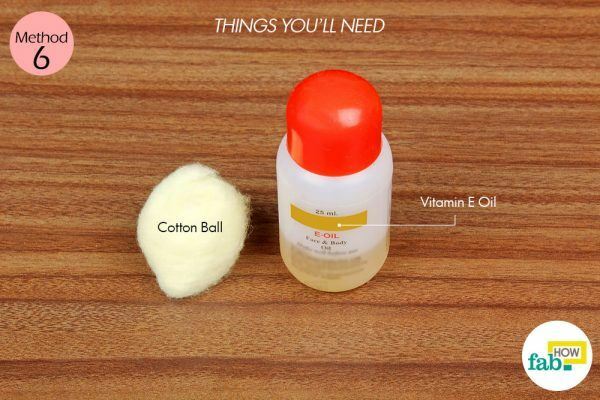 Since it can be quite viscous, you can add the vitamin E oil to a carrier oil like olive or coconut oil before application. 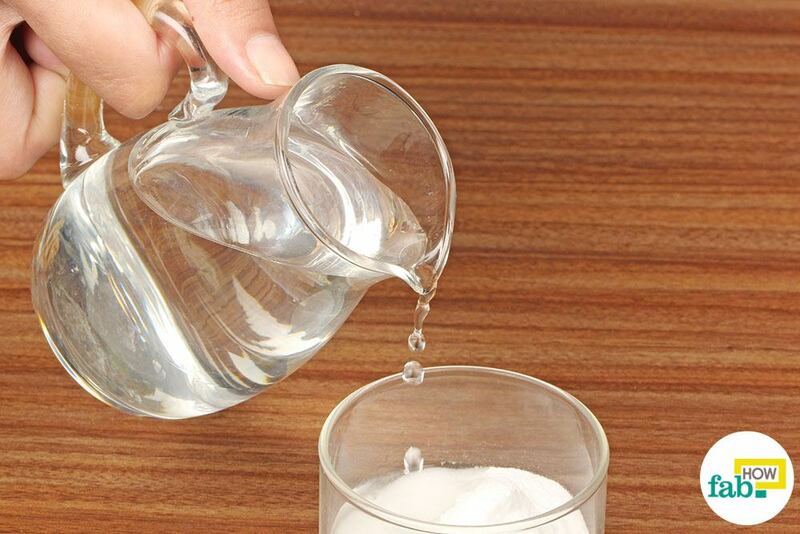 If you have an oily skin type, you can also thin it down with a little water before applying it. Spread a thin layer of vitamin E oil over the blotchy skin area. If helpful, use a cotton ball to do this. You can also give the area a light massage to help the skin absorb the oil better. You don’t need to rinse it off as it absorbs into the skin over time. If your skin feels tender or sensitive, dilute lemon juice with an equal amount of rose water before using it in any remedies. You can also use plain water for this purpose, but rose water itself has skin-toning properties. If the blotchiness in your skin is spread all over your body, applying a mask may be quite a hassle. You can opt for an oatmeal bath instead. 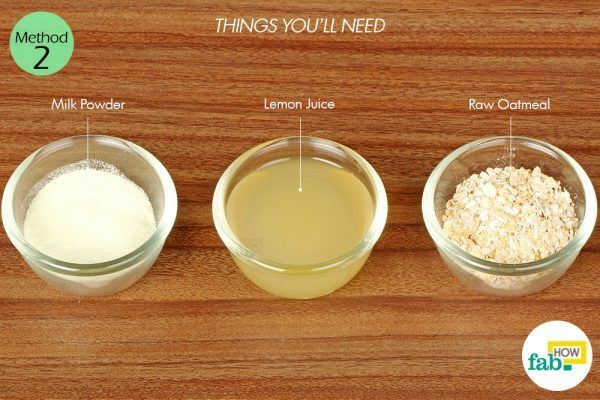 Add 1 cup of oatmeal powder to a bathtub filled with hot water and soak your body in it for about 20 minutes. Repeat up to 4 times a week. You don’t need to brew green tea specifically for making a mask. The next time you make yourself a cup of green tea, you can save a little of it in a bowl before you sweeten the tea for drinking. Regular exfoliation is a must to reverse sun damage and improve the state of your blotchy skin. Use dry brushing or sugar scrubs regularly to loosen and clear away the dead skin cells. Minimize your sun exposure and invest in a good quality sunscreen to prevent blotchy skin. Use moisturizing products that don’t contain alcohol, parabens, detergents or fragrance on blotchy skin. Moisturizers containing those components can irritate the sensitive skin. Watch your diet and avoid acid-forming foods like alcohol, caffeine, sugar and bread. Including alkaline foods like fresh fruits and vegetables, greens, sprouts and potatoes can contribute to good skin health. Keep your distance from foods or other substances that you’re allergic to, as allergies can flare up in the form of blotchy skin. Decide on the remedy best suited to you and stick to your skin care regime for at least 2 to 3 months for good results. Your skin took time to become pigmented, it will take time to heal back to normal as well.